Inspired by conceptual artist Dan Graham's 1984 film Rock My Religion, which connects the ecstatic dances of groups like the Shakers with rock and roll, X channels raw attitude and rapturous energy. 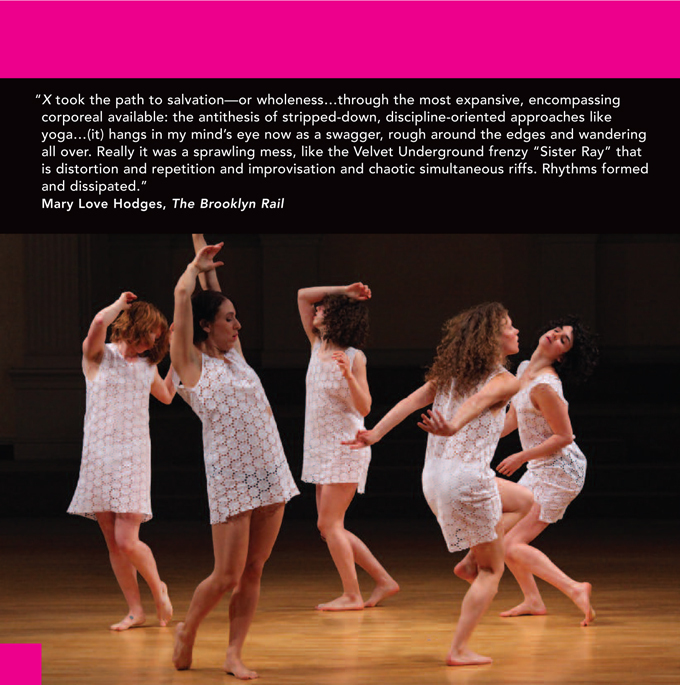 Its dancers boldly generate a dynamic physical force field, merging form and frenzy into communal catharsis. With sound effects designed by Martin Kersels. Dan Graham’s Rock My Religion will screen at 7:00 p.m. Friday, August 12 as part of the Food for the Arts series.